In 2018, technologists and users continued to be plagued by abstract, ridiculous software patents. The good news is there are more ways than ever before to fight back against those patents—some of them pretty effective. Unfortunately, patent trolls and abusive patent owners are working overtime to knock down those recent improvements, and bring the patent system back to the proverbial “bad old days.” Before the Alice v. CLS Bank decision—four years old as of last June—it could cost millions of dollars just to convince a court to invalidate a single abstract patent. That was true even when those patents clearly described aspects of everyday life, like running a contest, displaying a menu with pictures, or teaching a foreign language. Lobbyists for patent trolls and patent lawyers keep seeking to roll back Alice, promoting terrible legislation like the STRONGER Patents Act. Such proposals weaken our systems to challenge bad patents, and will hurt U.S. entrepreneurs and send innovation overseas. Despite that, we expect bills like that to come back in 2019, and we’ll be ready to fight back on behalf of startups and innovators. Patent owners are pushing to neutralize Alice through the courts, as well. The most recent attempt is a case called Berkheimer v. H-P, in which a panel of Federal Circuit judges ruled that patent eligibility under Alice can require a full trial. This makes Alice much harder and more expensive to apply and, in our view, is inconsistent with the Supreme Court’s ruling. Last month, we asked the Supreme Court to take up the case and consider overturning Berkheimer. A second crucial reform that needs defending is the inter partes review system, often abbreviated as IPR, that Congress created in 2012. IPRs allow those accused of patent infringement, or outside groups like EFF, to have an administrative law judge at the Patent Office take a second look at a patent grant. It’s a way of figuring out what patents should be allowed that’s far less expensive and more efficient than drawn-out court litigation. IPR has been so effective at knocking out bad patents that, perhaps unsurprisingly, the process is under attack. In the most important patent case this year, Oil States Energy Services, LLC v. Greene’s Energy Group, LLC, the U.S. Supreme Court took up arguments that the IPR process violated the U.S. Constitution. No surprise, dozens of patent trolls and heavy patent licensors stepped forward, urging the Supreme Court to throw out IPRs. Together with Public Knowledge, Engine Advocacy, and the R Street Institute, EFF filed a brief [PDF] explaining how IPR is a legitimate exercise of Congressional power. In April, the high court voted 7-2 to uphold IPR, a big relief for those of us looking for a balanced patent system. 2018 also saw progress in stopping venue abuse, in which patent trolls wrangled defendants into far-off, troll-friendly venues like the Eastern District of Texas. Once there, companies accused of infringement couldn’t transfer out, or even convince judges to consider motions under the rules set forth by Alice. At one point, the Eastern District of Texas was home to almost half of all patent lawsuits nationwide. The Supreme Court tightened up this venue loophole last year, in a case called TC Heartland v. Kraft Foods. 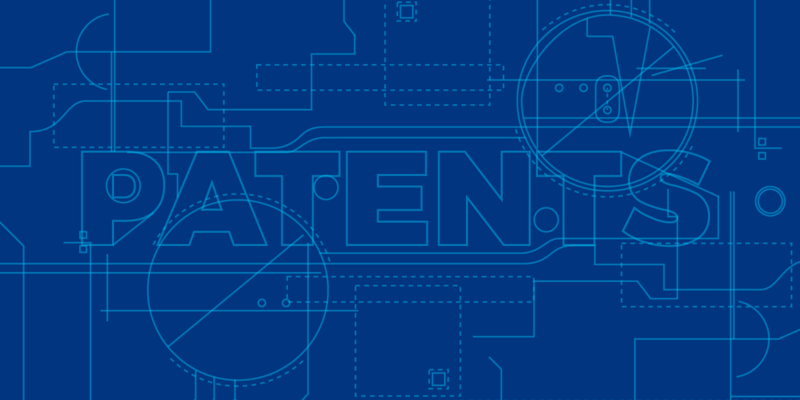 A recent LexMachina analysis shows that in May of 2017, two judges in the Eastern District of Texas got 35 percent of the nation's patent lawsuits assigned to them. In the same period of 2018, the same two judges received only 13 percent. That’s still an outsized share for a remote district without much of a technology industry, but it’s a big improvement. Venue reform, IPR, and the Alice litigation rules, are all changes that have made the patent system more fair for everyday people. It was the IPR process that allowed EFF to challenge the so-called “podcasting patent” owned by Personal Audio LLC. This year, we killed off that outrageous patent for good, and its owner can’t threaten podcasters anymore. The Alice decision means we can all stand up against other abusive patent threats, like one EFF fought off this year, in which a publishing company claimed it owned a patent on teaching language, and tried to force our client (a language teacher) to stop providing online lessons. Some patent-maximalist lobbyists are already talking about the “overreach” of these reforms, but the fact is, they don’t go far enough. Throughout 2018, more than 80 percent of patent lawsuits in the tech sector were filed by patent trolls. Even in the post-Alice era, we’re seeing thousands of lawsuits filed by shell companies, which produce nothing but headaches for real inventors. We need to keep moving in the direction of a patent system that considers users, entrepreneurs, and citizens, not just patent owners. That’s what we’ll be fighting for in 2019.